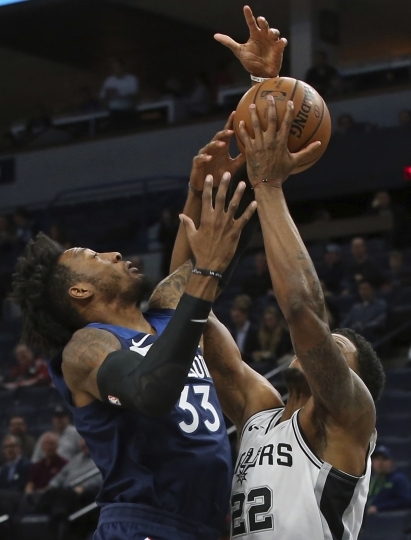 MINNEAPOLIS — Robert Covington scored 21 points, Karl-Anthony Towns and Derrick Rose each had 16 and the Minnesota Timberwolves shut down the San Antonio Spurs for a 128-89 victory on Wednesday night. Minnesota (11-11) earned its fourth straight win to get to .500 for the first time since Oct. 31. Taj Gibson scored 13 points, and rookie Josh Okogie made three 3-pointers on his way to 12 points. Minnesota had dropped 14 of its last 15 against San Antonio, but it held the Spurs to 39.5 percent shooting. These aren't the Spurs of Tim Duncan, Tony Parker and Manu Ginobili, and the much-improved Timberwolves defense isn't the same either. Minnesota led by as many as 48 before settling for its largest margin of victory against San Antonio in team history. 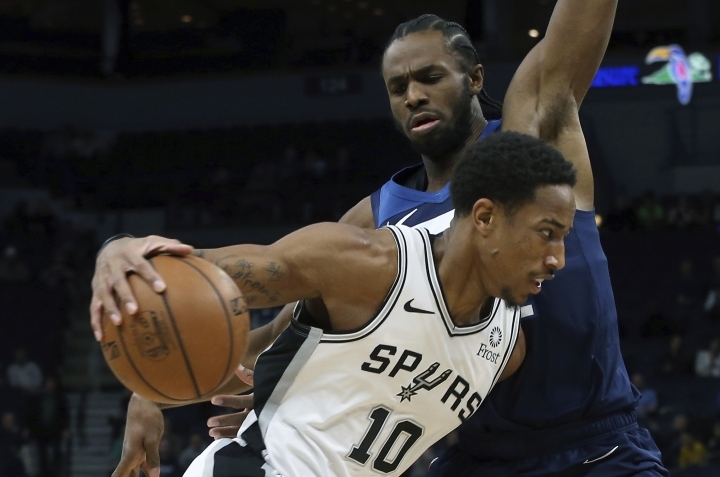 The Timberwolves limited the Spurs to nine second-quarter points in the 15th single-digit defensive quarter in team history. Jakob Poeltl led the Spurs with 14 points, and Marco Belinelli added 11. Minnesota improved to 7-2 since trading disgruntled star Jimmy Butler to Philadelphia in exchange for Covington, Dario Saric, Jerryd Bayless and a second-round draft pick. The Wolves broke the game open with a 17-2 run to start the second quarter, mostly with their second unit on the floor. Minnesota led 57-34 at halftime, marking San Antonio's lowest-scoring half this season. Spurs: LaMarcus Aldridge and DeMar DeRozan each scored 10 and were the only starters in double figures. ... F Pau Gasol is out indefinitely with a stress fracture in his left foot. The 17th-year veteran missed his 12th straight game; he had been getting some work on the court recently despite soreness. "Then they took him off because he got a second opinion that it was a stress fracture," coach Gregg Popovich said. "That's what they told me so it's not a secret I guess. So they put him back in the boot." Gasol has played sparingly off the bench, averaging 6.6 points and 6.1 rebounds. . The Spurs committed a season-high 19 turnovers. 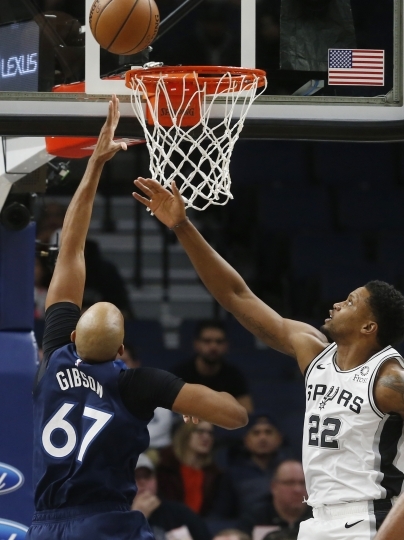 Timberwolves: The Wolves' previous largest margin of victory against San Antonio was 24 twice, last done in 2013. . Okogie opened the fourth quarter with a soaring dunk that brought the crowd and the Wolves bench to its feet. Spurs: At home against Houston on Friday. Timberwolves: Host Boston on Saturday.